Vivacom: Ny frekvens for Viasat Nature CEE: 12560.00MHz, pol.V (DVB-S2 SR:30000 FEC:3/4 SID:212 PID:2212[MPEG-4]/2312 aac England,2412 aac Russian- VideoGuard). En ny kanal har startet: Viasat Nature CEE (Sweden) i DVB-S2 on 12402.00MHz, pol.V SR:30000 FEC:3/4 SID:20128 PID:1281[MPEG-4]/1282 England - Conax. Viasat Nature CEE i DVB-S2 på 12310.00MHz, pol.H SR:30000 FEC:5/6 SID:1135 PID:4501[H.265]/4502 aac England (Conax). Viasat Nature CEE er nå kryptert i VideoGuard kode (11938.00MHz, pol.V SR:27500 FEC:5/6 SID:10550 PID:5501[MPEG-4]/5502 aac England,5503 aac Russian). Viasat Nature CEE (Sweden) er nå overført til fri luft (11938.00MHz, pol.V SR:27500 FEC:5/6 SID:10550 PID:5501[MPEG-4]/5502 aac England,5503 aac Russian). Ny frekvens for Viasat Nature CEE: 11938.00MHz, pol.V (DVB-S2 SR:27500 FEC:5/6 SID:10550 PID:5501[MPEG-4]/5502 aac England,5503 aac Russian- VideoGuard). Viasat: Viasat Nature CEE (Sweden) er nå overført til fri luft (11804.00MHz, pol.H SR:27500 FEC:5/6 SID:6030 PID:6031/6032 Russian,6033 Polish,6034 England,6035 Russian,6036 Hungarian). Ny frekvens for Viasat Nature CEE: 12245.00MHz, pol.H (DVB-S2 SR:30000 FEC:3/4 SID:4030 PID:3002[MPEG-4]/3003 aac Czech,3004 aac England,3005 aac Hungarian- Conax & Nagravision 3). Dolce TV: Ny frekvens for Viasat Nature CEE: 12406.00MHz, pol.V (DVB-S SR:30000 FEC:7/8 SID:304 PID:831/931 England- BulCrypt & VideoGuard). Digi TV: Ny frekvens for Viasat Nature CEE: 12130.00MHz, pol.H (DVB-S SR:28000 FEC:7/8 SID:1570 PID:547/697 England,698 Hungarian,699 Czech- Nagravision 3). Cyfrowy Polsat & NC+ & Orange Polska: Viasat Nature CEE i DVB-S2 på 12188.00MHz, pol.V SR:27500 FEC:3/4 SID:7373 PID:817[MPEG-4]/818 Polish (Conax & Mediaguard 3 & Nagravision 3 & Viaccess 3.0). Cyfrowy Polsat & NC+ & Orange Polska: Ny frekvens for Viasat Nature CEE: 12284.00MHz, pol.H (DVB-S2 SR:27500 FEC:3/4 SID:10504 PID:204[MPEG-4] /304 Polish- Conax & Mediaguard 3 & Nagravision 3 & Viaccess 3.0). T-Home: Ny frekvens for Viasat Nature CEE: 10842.00MHz, pol.V (DVB-S2 SR:30000 FEC:3/4 SID:1626 PID:149[MPEG-4]/106 England,148 Hungarian- Conax). Digi TV: Viasat Nature CEE i DVB-S på 12643.00MHz, pol.H SR:27500 FEC:3/4 SID:1570 PID:547/697 England,698 Hungarian,699 Czech (Nagravision 3). Total TV: Ny SR for Viasat Nature CEE on 11231.00MHz, pol.V: SR:42000 ( FEC:3/5 SID:756 PID:256[MPEG-4]/3561 England - Conax & VideoGuard). Viasat & Viasat Ukraine: Viasat Nature CEE i DVB-S2 på 12092.00MHz, pol.V SR:30000 FEC:2/3 SID:2740 PID:2741[MPEG-4]/2742 Russian,2743 England (VeriMatrix & VideoGuard). En ny kanal har startet: Viasat Nature CEE (Sweden) i DVB-S2 on 12303.00MHz, pol.H SR:30000 FEC:2/3 SID:387 PID:1642[MPEG-4]/1643 England - BulCrypt. Cosmote: En ny kanal har startet: Viasat Nature CEE (Sweden) i DVB-S2 on 12168.00MHz, pol.H SR:27500 FEC:2/3 SID:1132 PID:4132[MPEG-4]/5132 England - VideoGuard. Viasat Nature CEE er nå kryptert i Panaccess kode (11350.00MHz, pol.H SR:45000 FEC:3/4 SID:74 PID:1741[MPEG-4]/1742 Czech). Viasat Nature CEE (Sweden) er nå overført til fri luft (11350.00MHz, pol.H SR:45000 FEC:3/4 SID:74 PID:1741[MPEG-4]/1742 Czech). 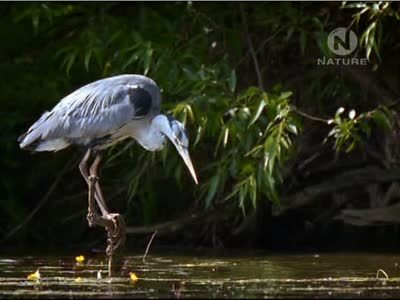 Total TV: Viasat Nature CEE er nå kryptert i Conax & VideoGuard kode (11231.00MHz, pol.V SR:30000 FEC:3/5 SID:756 PID:256[MPEG-4]/3561 England). Total TV: Viasat Nature CEE (Sweden) er nå overført til fri luft (11231.00MHz, pol.V SR:30000 FEC:3/5 SID:756 PID:256[MPEG-4]/3561 England). Viasat & Viasat Ukraine: Viasat Nature CEE i DVB-S2 på 12092.00MHz, pol.V SR:30000 FEC:2/3 SID:3030 PID:3031[MPEG-4]/3032 Russian (VeriMatrix & VideoGuard). Viasat Ukraine: Viasat Nature CEE i DVB-S2 på 12207.00MHz, pol.V SR:30000 FEC:3/4 SID:2740 PID:2741[MPEG-4]/2742 Russian,2743 England (VeriMatrix & VideoGuard). En ny kanal har startet: Viasat Nature CEE (Sweden) i DVB-S2 on 11350.00MHz, pol.H SR:45000 FEC:3/4 SID:74 PID:1741[MPEG-4]/1742 Czech - Panaccess. Ny frekvens for Viasat Nature CEE: 12643.00MHz, pol.V (DVB-S2 SR:26666 FEC:2/3 SID:4030 PID:3002[MPEG-4]/3003 aac Czech,3004 aac England,3005 aac Hungarian- Conax & Nagravision 3). Vivacom: Viasat Nature CEE i DVB-S2 på 11595.00MHz, pol.V SR:30000 FEC:3/4 SID:212 PID:2212[MPEG-4]/2312 aac Bulgarian (VideoGuard). Viasat Ukraine: Ny frekvens for Viasat Nature CEE: 12348.00MHz, pol.H (DVB-S SR:30000 FEC:7/8 SID:2740 PID:2741[MPEG-4]/2742 Russian,2743 England- VideoGuard). Viasat Nature CEE i DVB-S2 på 12266.00MHz, pol.H SR:27500 FEC:5/6 SID:2200 PID:2201[MPEG-4]/2202 Russian,2203 England (BulCrypt & Panaccess). Xtra TV: En ny kanal har startet: Viasat Nature CEE (Sweden) i DVB-S2 on 11747.00MHz, pol.V SR:30000 FEC:3/4 SID:7650 PID:7651[MPEG-4]/7652 Russian,7653 aac England - Conax. SkyLink: Ny frekvens for Viasat Nature CEE: 11934.00MHz, pol.V (DVB-S2 SR:27500 FEC:3/4 SID:14062 PID:6210[MPEG-4]/6220 Czech,6221 England,6222 Hungarian- Cryptoworks & Irdeto 2 & Viaccess 5.0). Total TV: Viasat Nature CEE i DVB-S2 på 11231.00MHz, pol.V SR:30000 FEC:3/5 SID:756 PID:256[MPEG-4]/3561 England (Conax & VideoGuard). Viasat & Viasat Ukraine: Ny FEC for Viasat Nature CEE on 11258.00MHz, pol.H: FEC:2/3 ( SR:30000 SID:3030 PID:3031[MPEG-4]/3032 Russian - VideoGuard). Viasat Ukraine: Viasat Nature CEE i DVB-S på 11222.00MHz, pol.H SR:30000 FEC:7/8 SID:2740 PID:2741[MPEG-4]/2742 Russian,2743 England (VideoGuard). Viasat & Viasat Ukraine: En ny kanal har startet: Viasat Nature CEE (Sweden) i DVB-S2 on 11258.00MHz, pol.H SR:30000 FEC:3/4 SID:3030 PID:3031[MPEG-4]/3032 Russian - VideoGuard. Viasat Ukraine: Ny frekvens for Viasat Nature CEE: 11373.00MHz, pol.H (DVB-S SR:27500 FEC:2/3 SID:2740 PID:2741[MPEG-4]/2742 Russian,2743 England- VideoGuard). Viasat Ukraine: En ny kanal har startet: Viasat Nature CEE (Sweden) i DVB-S on 11432.00MHz, pol.V SR:27500 FEC:2/3 SID:2740 PID:2741[MPEG-4]/2742 Russian,2743 England - VideoGuard. Digi TV: Viasat Nature CEE er nå kryptert i Nagravision 3 kode (12563.00MHz, pol.V SR:27500 FEC:3/4 SID:3270 PID:4010/894 Romanian,722 Hungarian,2010 Czech). Digi TV: Viasat Nature CEE (Sweden) er nå overført til fri luft (12563.00MHz, pol.V SR:27500 FEC:3/4 SID:3270 PID:4010/894 Romanian,722 Hungarian,2010 Czech). Viasat Nature CEE switched to DVB-S2 at 11012.00MHz, pol.V SR:30000 FEC:5/6 PID:102[MPEG-4]/302 England,202 Turkish. D-Smart: En ny kanal har startet: Viasat Nature CEE (Sweden) i DVB-S on 11012.00MHz, pol.V SR:30000 FEC:5/6 SID:1402 PID:102[MPEG-4]/302 England,202 Turkish - VideoGuard. Ny frekvens for Viasat Nature CEE: 12723.00MHz, pol.V (DVB-S2 SR:26666 FEC:2/3 SID:4030 PID:3002[MPEG-4]/3003 aac Czech,3004 aac England,3005 aac Hungarian- Conax & Nagravision 3). Viasat Nature CEE er nå kryptert i Conax & Irdeto 2 kode (12073.00MHz, pol.V SR:27500 FEC:3/4 SID:19 PID:1191[MPEG-4]/1192 Hungarian). Viasat Nature CEE (Sweden) er nå overført til fri luft (12073.00MHz, pol.V SR:27500 FEC:3/4 SID:19 PID:1191[MPEG-4]/1192 Hungarian). Viasat Nature CEE er nå kryptert i Conax kode (12073.00MHz, pol.V SR:27500 FEC:3/4 SID:19 PID:1191[MPEG-4]/1192 Hungarian). En ny kanal har startet: Viasat Nature CEE (Sweden) i DVB-S2 on 12073.00MHz, pol.V SR:27500 FEC:3/4 SID:19 PID:1191[MPEG-4]/1192 Hungarian - FTA. T-Home: Ny FEC for Viasat Nature CEE on 10889.00MHz, pol.V: FEC:3/4 ( SR:30000 SID:1626 PID:149[MPEG-4]/106 aac England,148 aac Hungarian,164 aac Slovakian - Conax). En ny kanal har startet: Viasat Nature CEE (Sweden) i DVB-S2 on 12402.00MHz, pol.V SR:30000 FEC:3/4 SID:8509 PID:5091[MPEG-4]/5092 Russian,5093 Czech,5094 England,5095 Hungarian - Viaccess 5.0. Cyfrowy Polsat: En ny kanal har startet: Viasat Nature CEE (Sweden) i DVB-S on 12188.00MHz, pol.V SR:27500 FEC:5/6 SID:7373 PID:817/818 Polish - Nagravision 3. Digi TV: En ny kanal har startet: Viasat Nature CEE (Sweden) i DVB-S on 12563.00MHz, pol.V SR:27500 FEC:3/4 SID:3270 PID:4010/894 Romanian - Nagravision 3. Max TV: Ny FEC for Viasat Nature CEE on 11678.25MHz, pol.H: FEC:5/6 ( SR:30000 SID:42 PID:2820[MPEG-4]/2564 England - Nagravision 3). Viasat Ukraine: Viasat Nature CEE i DVB-S2 på 12169.00MHz, pol.V SR:27500 FEC:3/4 SID:2740 PID:2741[MPEG-4]/2742 Russian,2743 England (VideoGuard). Satellite BG & SkyLink: Ny frekvens for Viasat Nature CEE: 11895.00MHz, pol.V (DVB-S SR:27500 FEC:5/6 SID:5084 PID:4514/4524 Czech,4534 England- Conax & Cryptoworks & Irdeto 2). T-Home: Viasat Nature CEE i DVB-S2 på 10889.00MHz, pol.V SR:30000 FEC:2/3 SID:1626 PID:149[MPEG-4]/106 aac England,148 aac Hungarian (Conax). Viasat Nature CEE switched to Eutelsat 16A satellite at 11676.00MHz, pol.V (DVB-S2 , 11676.00MHz, pol.V SR:30000 FEC:2/3 PID:2820[MPEG-4]/2564 England). Viasat Nature CEE switched to Eutelsat 16A satellite at 11095.00MHz, pol.H (DVB-S , 11095.00MHz, pol.H SR:30000 FEC:3/4 PID:308/429 England). Dolce TV: En ny kanal har startet: Viasat Nature CEE (Sweden) i DVB-S on 12729.00MHz, pol.V SR:30000 FEC:7/8 SID:304 PID:831/931 England - VideoGuard. Viasat Nature CEE is back on 11676.00MHz, pol.V SR:30000 FEC:2/3 SID:42 after a break ( PID:2820[MPEG-4]/2564 England - Nagravision 3). Total TV: Viasat Nature CEE is back on 11095.00MHz, pol.H SR:27300 FEC:2/3 SID:1408 after a break ( PID:308/429 England - VideoGuard). Satellite BG: Viasat Nature CEE er nå kryptert i Conax & Cryptoworks kode (12051.00MHz, pol.V SR:27500 FEC:5/6 SID:5506 PID:515/680 Bulgarian). Satellite BG: Viasat Nature CEE (Sweden) er nå overført til fri luft (12051.00MHz, pol.V SR:27500 FEC:5/6 SID:5506 PID:515/680 Bulgarian). Raduga TV: Viasat Nature CEE er nå kryptert i Irdeto 2 & VideoGuard kode (12518.00MHz, pol.V SR:22000 FEC:7/8 SID:1970 PID:1971/1972 Russian,1973 England ). Raduga TV: Viasat Nature CEE (Sweden) er nå overført til fri luft (12518.00MHz, pol.V SR:22000 FEC:7/8 SID:1970 PID:1971/1972 Russian,1973 England ). Bulsatcom: Viasat Nature CEE er nå kryptert i BulCrypt & Griffin & Irdeto 2 kode (12565.00MHz, pol.H SR:30000 FEC:7/8 SID:125 PID:656/657 Bulgarian). Bulsatcom: Viasat Nature CEE (Sweden) er nå overført til fri luft (12565.00MHz, pol.H SR:30000 FEC:7/8 SID:125 PID:656/657 Bulgarian). Max TV: Viasat Nature CEE i DVB-S2 på 11676.00MHz, pol.V SR:30000 FEC:2/3 SID:42 PID:2820[MPEG-4]/2564 England (Nagravision 3). Bulsatcom: En ny kanal har startet: Viasat Nature CEE (Sweden) i DVB-S on 12565.00MHz, pol.H SR:30000 FEC:7/8 SID:125 PID:656/657 Bulgarian - BulCrypt & Griffin & Irdeto 2. Satellite BG: Ny FEC for Viasat Nature CEE on 12051.00MHz, pol.V: FEC:5/6 ( SR:27500 SID:5506 PID:515/680 Bulgarian - Conax & Cryptoworks & VideoGuard). Total TV & Total TV Bulgaria: En ny kanal har startet: Viasat Nature CEE (Sweden) i DVB-S on 12051.00MHz, pol.V SR:27500 FEC:3/4 SID:5506 PID:515/680 Bulgarian - Conax & Cryptoworks & VideoGuard. Total TV & Total TV Bulgaria: Viasat Nature CEE i DVB-S på 11138.00MHz, pol.H SR:27700 FEC:3/4 SID:2 PID:515/680 Bulgarian (Conax & Cryptoworks & VideoGuard). Vivacom: En ny kanal har startet: Viasat Nature CEE (Sweden) i DVB-S2 on 11550.00MHz, pol.V SR:30000 FEC:3/4 SID:212 PID:2212[MPEG-4]/2312 Bulgarian - VideoGuard. SkyLink: Ny frekvens for Viasat Nature CEE: 11992.00MHz, pol.H (DVB-S SR:27500 FEC:3/4 SID:9012 PID:409/569 Czech- Cryptoworks & Irdeto 2). Vivacom: En ny kanal har startet: Viasat Nature CEE (Sweden) i DVB-S2 on 11468.00MHz, pol.V SR:30000 FEC:3/4 SID:132 PID:1232[MPEG-4]/1332 England - VideoGuard. Viasat Nature CEE switched to Astra 3B satellite at 11798.00MHz, pol.H (DVB-S , 11798.00MHz, pol.H SR:27500 FEC:3/4 PID:2732/2892 Czech,2972 England). Total TV & Total TV Bulgaria: En ny kanal har startet: Viasat Nature CEE (Sweden) i DVB-S on 11095.00MHz, pol.H SR:27300 FEC:2/3 SID:1408 PID:308/429 England - Cryptoworks & VideoGuard. SkyLink: En ny kanal har startet: Viasat Nature CEE (Sweden) i DVB-S on 11798.00MHz, pol.H SR:27500 FEC:3/4 SID:5052 PID:2732/2892 Czech,2972 England - Cryptoworks. Viasat Ukraine: En ny kanal har startet: Viasat Nature CEE (Sweden) i DVB-S2 on 12207.00MHz, pol.V SR:27500 FEC:3/4 SID:2900 PID:2901[MPEG-4]/2902 Russian,2903 England - VideoGuard. Viasat: Ny frekvens for Viasat Nature CEE: 12608.00MHz, pol.H (DVB-S SR:27500 FEC:3/4 SID:1960 PID:1961/1962 Russian,1963 Polish,1964 Czech,1965 England,1966 Hungarian- VideoGuard). Viasat: En ny kanal har startet: Viasat Nature CEE (Sweden) i DVB-S on 11804.00MHz, pol.H SR:27500 FEC:3/4 SID:6030 PID:6031/6034,6032 Russian,6035,6033 Polish,6036 Hungarian - VideoGuard.